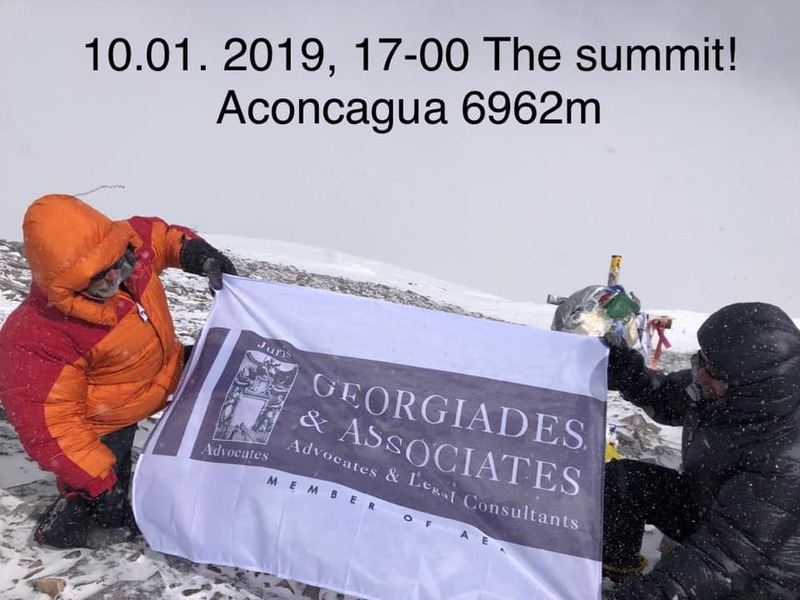 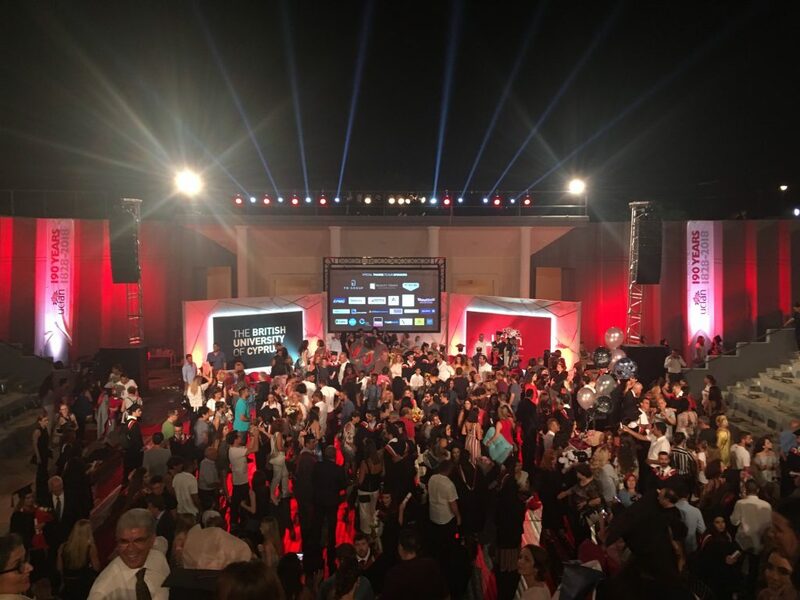 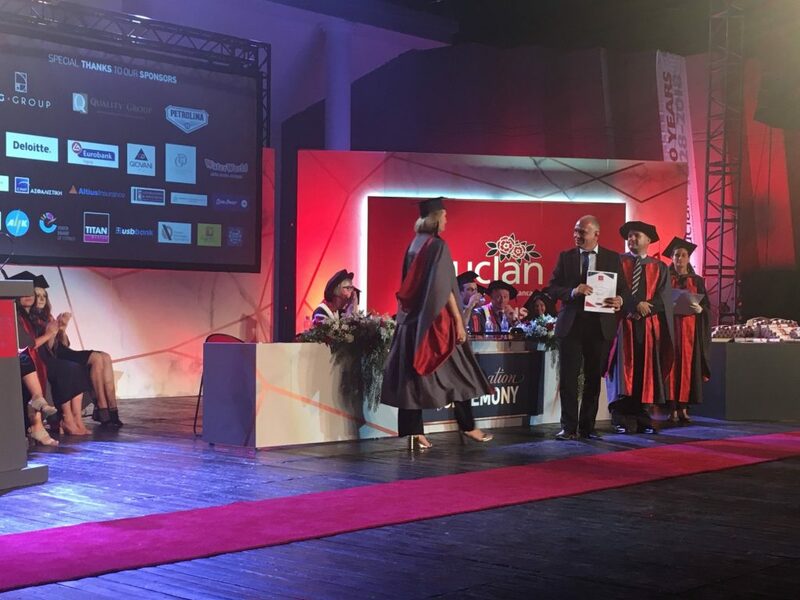 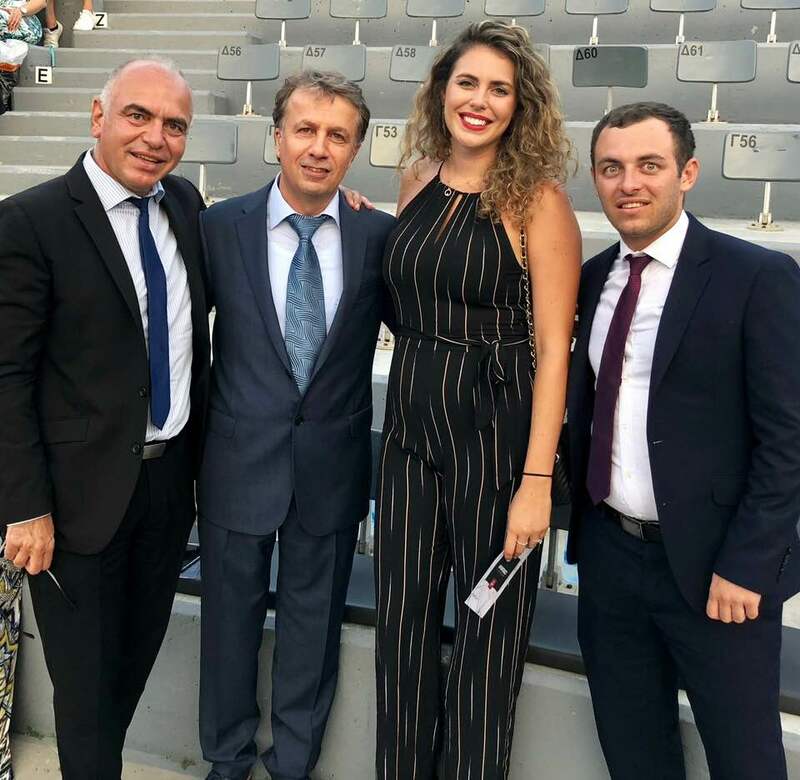 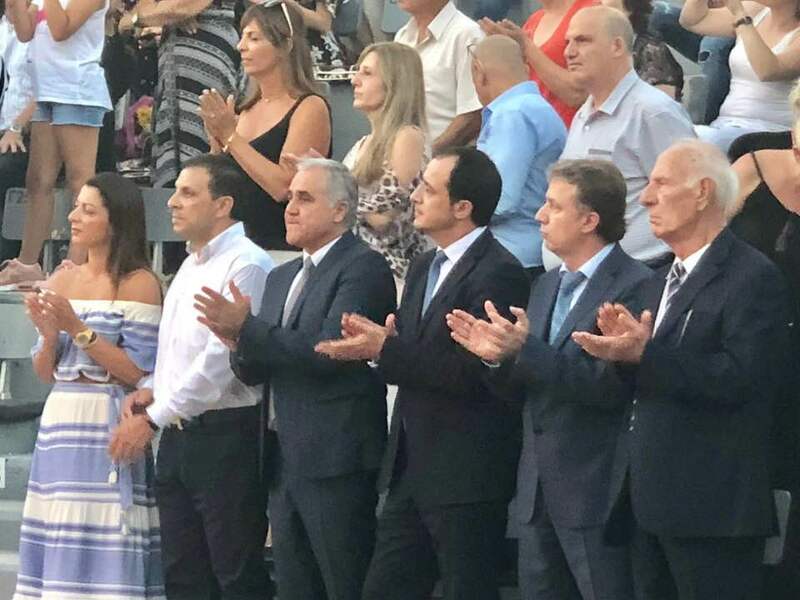 Georgiades & Associates were proud to be one of the sponsors at this year’s UCLan University Cyprus Graduation Ceremony which took place at the Pattichion Municipal Amphitheatre, Larnaka. 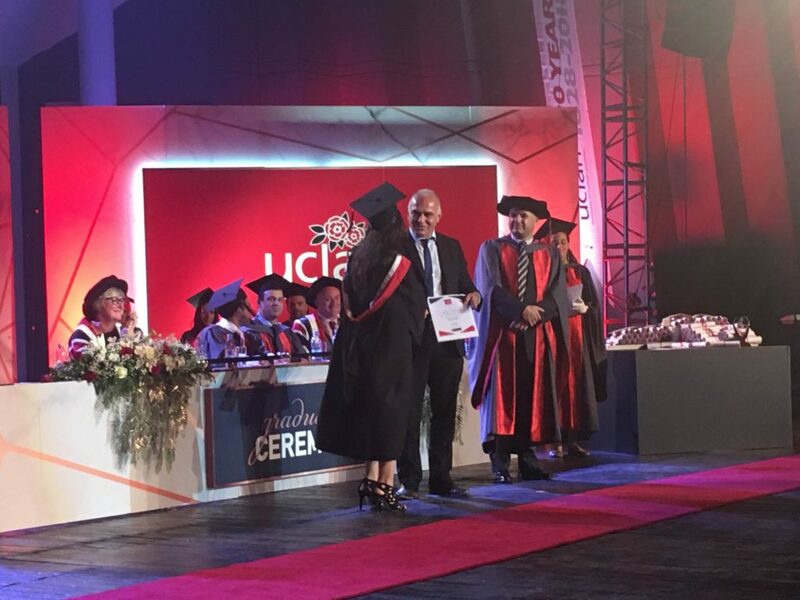 Mr Yiannos Georgiades had the honour to present awards to Law students who excelled in their studies. 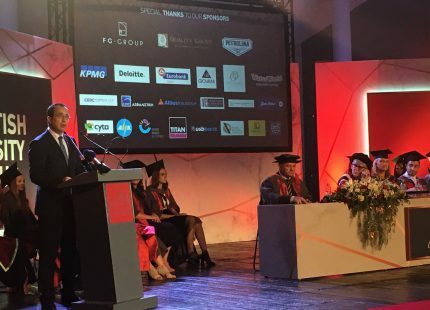 The ceremony was conducted in the presence of Mr Nicos Christodoulides (Minister of Foreign Affairs of the Republic of Cyprus), Mr Floros Voniatis (Council Chairman and founding partner of UCLan University Cyprus), Mr George Hassapis (Board member and founding partner of UCLan University Cyprus).